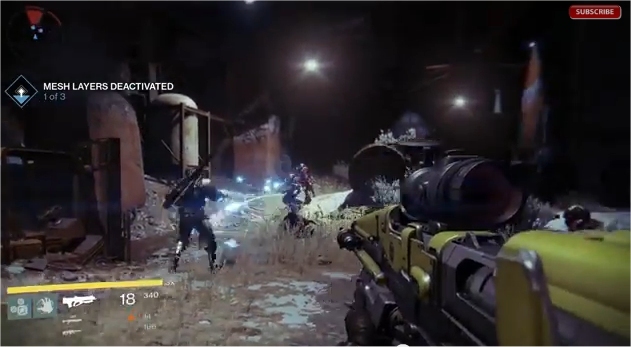 Bungie released a new trailer for Destiny, their upcoming first-person shooter. Interestingly enough the trailer is only for the PS4, showing a clear sign of preference for a company that used to be loyal to the green brand. The video trailer isn't much of anything special; it's all very ho-hum. We get the main hero squad, manned by human players. We get to see some interesting but shockingly static environments on display. And we get to see a slew of weapons that look like they handle quite well, but also appear to come straight out of Borderlands. The music sounds very Halo-ish, sadly reminding us that Marty O'Donnell is no longer with Bungie. And the enemies are somewhat unique but don't seem to put up much of a fight outside of overpowering players and taking victory through the numbers game. Of course, those seven minutes of gameplay aren't truly indicative of the final product, not in the least. However, a lot of my concerns are mirrored in a Kotaku piece, that also notes that the game is kind of boring and, well... ho hum. That sentiment is also reiterated around the essence of the Kotaku article: it's a great looking, competently functional game with nothing that really stands out. My jaded, been-there-done-that side says that this will be the extent of Destiny; that it's an MMO-style, Borderlands-esque shooter with static environments and barely dangerous enemies. My hopeful side says that maybe we should wait for E3 to judge the game more fairly. Nevertheless, my jaded side is winning out only because this is a cross-generational game. It's impossible for this game to feature anything that can't be done on the PS3 and Xbox 360, and that alone ruins a lot of my anticipation for this game. Of course, we'll truly be able to tell if Destiny lives up to being the sort of expected-shooter that it appears to be once more gamers get their hands on the game come E3. I just sort of wish the game wasn't a cross-generation title, as I'm sure there's a lot more that Bungie could have done had they not been tethered to the geriatric twins.